Navigating completely privately is possible with the help of a VPN. In this article, we review the 5 best free and 10 best paid VPN that you can download on your device at no cost. There are several virtual private networks in the market, commonly known as VPN which can be downloaded from their website completely free. In general, all of them will allow you to use the Internet anonymously and change the location of your IP so you can access that content blocked in your country and available only in another or others. 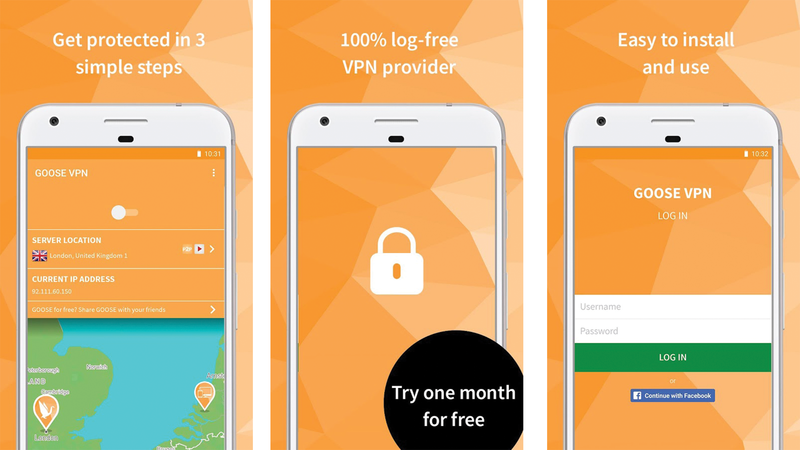 But before you drown in the sea of options that you have at your disposal, we have done the field work for you and today we bring you the 5 best free VPN along with 10 best paid VPNs this year. Determining which VPN service is the best of all is not an easy task, especially since all of them present some drawback. While some can only be used from a single device, others will stop working past the limit of contracted megs. Taking into account all the pros and cons, the free proxy of CyberGhost is surely the best option. It is true that it takes a while to connect and you lose your connection after three hours, but it is highly recommended to watch videos. Although TunnelBear and Hide.me outperform the CyberGhost VPN in some aspects, it is more than likely that the user will find the available MBs in their free versions insufficient. On the other hand, Hotspot Shield has not been done with the first position in this ranking because, when you install it, you automatically give permission to flood with advertising and change your system configuration. That has led some to classify it as malware. Specifically, this service only has servers operating from the United States, the United Kingdom, Canada, Germany, France and Japan. It can also be used from Australia but only if a paid subscription plan is on. One of the most attractive features of this VPN is undoubtedly the high speed that can reach: about 12 MB per second, and also both the installation process and the use of the interface are very intuitive. TunnelBear seems very appropriate to protect your browsing data when connecting to a public Wi-Fi network, especially thanks to the ‘Vigilant Mode’ feature, which blocks any suspicious content when you lose your connection to the private network. If you hesitate between betting on the free service or choosing one of the two premium installments, bear in mind that the zero cost option has a limit of 500 MB per month, which you can increase up to 1 GB if you write a tweet talking about TunnelBear. Instead, paying $ 9.99 per month, you’ll get unlimited bandwidth to surf the Internet without worrying about snoops, the number of countries you can access or the number of devices you can connect to. Although it is not as good as its paid version, the free VPN Windscribe also offers very useful features that will help you keep your identity private and trick your browser into thinking you are in a different city. Among the features, we highlight the possibility of using it in an unlimited number of devices, so that you can use the same account on all your computers and laptops. In addition, you can protect your device from viruses and malware content with the built-in firewall, and say goodbye to the annoying and tiresome ads with an excellent advertising blocker. Of course, among its limitations is the fact that you can only choose between 11 servers, which means that you can only choose your IP from 11 different locations. In the paid version, you can choose between 50 countries. On the other hand, if you download Windscribe to your device for free, you can only use a maximum of 10 GB a month. We recommend, therefore, take a look first at all the payment service features. You can choose between the monthly plan of 9 dollars, the annual plan of 4.08 dollars, or the biannual plan of 3.70 dollars. 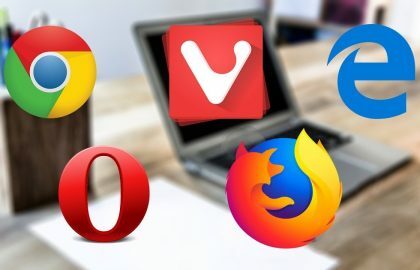 Although it is no longer the most used browser, Opera is the only one that includes a VPN. It is not an extension, but a provision more than its most updated version. Apart from being completely free, the fact that it is integrated into the browser means that this network has no limits in terms of data transfer or browsing speed. Its only limitation, however, is the location of the servers. 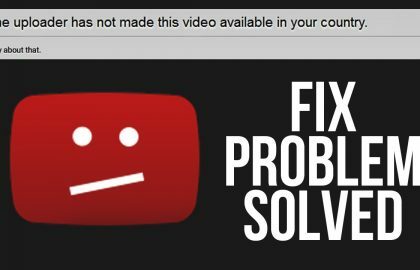 For now, you can only find some from the United States, Canada, and Germany, which means that you can not see content only available from other countries. It is very useful to watch football matches in streaming or also live television from the official website of American channels such as NBC, which restricts their reproductions outside their country of origin. This is largely due to the fact that for now it is only a beta version. Opera is working to improve your free VPN and now you can change your location by selecting one of these three regions: America, Europe, and Asia. To enjoy the VPN, open the drop-down menu by clicking on the red “O” icon in the upper left corner. Select ‘Settings’, followed by ‘Privacy and security’ and click on the box next to ‘Activate the VPN’ under the ‘VPN’ section. This proxy ensures that you can surf the web privately so that even your Internet provider will not know the web pages you consult. For this, CyberGhost will change your IP address and will also protect you from possible onlookers. That said, this is not the ideal service if you want to visit blocked websites in your location or if you want a high speed of navigation since these functions are only available in the paid options. Another drawback of the free version is that the application will be automatically disconnected after having used it for three hours. In this case, you must re-enter your personal information associated with your account. As a positive aspect, it should be noted that CyberGhost does not limit the bandwidth you can consume while browsing the network, which makes it especially a good ally to watch online videos. Be that as it may, it seems reasonable to at least take into account the advantages of premium subscriptions. As TunnelBear, VPN Hide.me has a limit data transfer in this case 2 GB. Whoever wants to have more, can opt for the Plus fee -with 75 GB at your disposal- or, better yet, with the Premium quota with unlimited data. This means that customers who choose to use the network for free, will surely not be able to enjoy high-quality videos, although the broadband offered may be sufficient to surf the Internet. The free registration also allows you to simultaneously connect only one device, be it Windows, macOS, Android, iOS or Linux. In contrast, with the Premium account, you can enjoy your private connection on five devices at once. It is true that the subscription has more advantages than betting on the gratuity, but it is no less true that the option at no cost is one of the best of all that we have tried. It will also help you to know if it’s worth it or not pay for it. If at the end you dare to subscribe, the monthly cost is 4.99 dollars or 9.99, depending on whether you choose the Plus or Premium respectively. There is a discount of up to 45% if you decide to pay one year in advance. With any of the three options, you will enjoy maximum privacy and freedom of expression, as it will also unlock the most popular restricted sites in the country where you are. NordVPN is one of the easiest to use VPN because it has a simple design accompanied by a search service that makes everything even easier than you thought. Being located in Panama, it becomes an ideal service to take care of your privacy. It also includes a kill switch that will stop your Internet connection in case the VPN stops working, in this way your privacy is assured at all times. NordVPN allows you to connect to the US version of Netflix and also has more than 1,095 servers in 61 different countries, which will undoubtedly help you find the server that best suits your needs. The service comes with a new ad-blocker and a malware protector that will also be very useful. It is not the cheapest VPN of all options, but its premium interface, its large number of servers and its wide variety of features make that small extra price worthwhile. Simple but very fast. Although ExpressVPN is one of the most expensive VPNs in this list, its ease of use and its wide variety of tools make its price worthwhile. The speed and efficiency with which your technical team solves the problems of its users give this VPN all the confidence necessary for you to decide to buy it. You can also access the content of the North American version of Netflix, and in case you have some kind of problem, you can be sure that the technical team will give you a quick solution just contact them. You can get ExpressVPN for your router and it also has a kill switch called Network Lock that will keep you protected in case your VPN connection fails. This service also offers extensions available for your Chrome or Firefox browsers. Goose VPN offers a fast and very easy to use service, which is why this VPN is perfect for home and beginners. It is ideal for users who want to watch streaming content from other countries. Its configuration is simple and its interface very intuitive. Goose VPN offers you a 30-day trial period. Once you decide to buy the service, you should know that if in 30 days you have consumed less than 100GB, they will return the money. You can access the American Netflix and see more content that is blocked in your country. The downside of GooseVPN is that it has no kill-switch and is only in 27 countries with 77 servers. Behind the peculiar approach of TunnelBear you will find a solid, fast and cheap service that manages to fulfill the basic functions of a VPN without any complications. It has servers in 22 different countries (including the United Kingdom), but you can not choose the specific server for each country, which is why those who see privacy as a priority may end up choosing another VPN service. However, we can affirm that TunnelBear is a VPN that establishes connections very quickly and that fulfills efficiently its basic functions. As it has servers in the United States, we were able to access American Netflix content without any problem. TunnelBear has a free version that allows you to use 500MB of data every month. In addition, it has two types of premium rates: the Giant rate for $ 9.99 per month with unlimited data and the Grizzly, which will cost you $ 5 per month, but you will have to pay an annual subscription. PureVPN offers you a great and versatile VPN connection. Besides being super fast and having a more than reasonable price, it is located outside the reach of the 14 Eyes area (although its location in China may make you wary if you’re looking for a totally anonymous connection unable to locate). It has more than 750 servers in 141 countries, and its registration only archives the hours in which the connection was made. It is easy to install, has a variety of features and also offers access to blocked and streaming websites including Netflix US. In PCWorld we had problems trying to install PureVPN on an older computer, a problem that not everyone will see, but the live chat with which PureVPN account is fantastic and this will not cause problems for everyone. Located in Romania, beyond the reach of countries in the so-called area of 14 Eyes, CyberGhost is a very easy to use VPN. Once you have selected the type of activity you want to perform in the main interface, the program will automatically show you a selection of different recommended options based on the option you have chosen. Alternatively, you can manually choose from more than 1150 servers in more than 49 countries, a number that continues to increase. The Unblock Streaming option, for example, allows you to choose the exact server that you must select in order to watch BBC iPlayer or Netflix. One of the drawbacks of CyberGhost is that it is continuously adding new servers, since many of those offered end up being blocked, so it may not be 100% trusted. (Although we must mention that this can happen also with any other VPN in this article). CyberGhost also has a kill switch capable of providing even more secure protection. It also has applications available for any device, including Raspberry Pi or routers (although it should be mentioned that applications for Mac or smartphone do not have all the tools that the Windows version has). VyprVPN offers you a VPN connection for several devices simultaneously. That is why it becomes an ideal offer for families. It allows you to see the content of the American Netflix and other blocked content in your country. You can pay $4.56 per month for one year for 3 simultaneous connections. Or $6.23 for 5 simultaneous connections in addition to a cloud storage service ( Cloud VyprVPN) and a service to end the VPN blocking and circumvent the restrictions of censorship ( Chameleon Protocol ). It has more than 700 servers available worldwide, in addition, its connection is quick and easy to use. It has a kill switch to ensure that your connection is always secure and applications to be able to use the VPN connection from your mobile as well. Private Internet Access, also known as PIA, has a minimalist interface that is virtually non-existent. 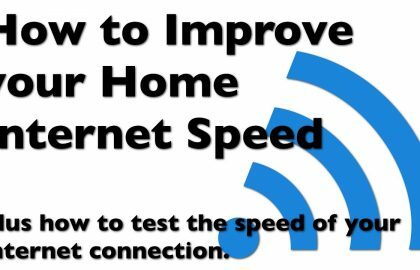 Its connection is extremely fast, also to start using it is only necessary a click on the icon of the taskbar that will open the interface that allows you to change some of its settings, including the location of your connection. You will find much more than what you see at first sight. To start with PIA gives you extra security as it is accompanied by a kill switch, an ad blocker, a malware blocker and a protection system in case there are problems with the DNS. It also has a set of 3,250 servers in 25 different countries. It works for Netflix US, it has applications for all types of devices, including Linux, and in addition, it can be purchased for a more than reasonable price. Its disadvantage is that it is located in the United States, which may exclude it as an ideal VPN for those who seek the greatest of privacies. IPVanish is the ideal VPN for beginners since while still being a powerful connection, it has a wide variety of tools for those who want to surf anonymously or access blocked content in their country. This VPN offers you an own tutorial that makes your installation as simple as possible, that is, suitable for beginners. It does not store any type of registration or connection information which ensures that your browsing is kept private at all times. It has a kill switch and even the possibility for the user to schedule regular intervals for a regular IP address change. Not all your servers in the United States allow access to Netflix, but, thanks to the technical support offered by IPVanish, you can quickly discover which servers have access to Netflix US and which ones do not. As for the disadvantages, we can say that the IPVanish price is somewhat expensive and that it is located in the United States, one of the countries belonging to the group of “14 Eyes”. 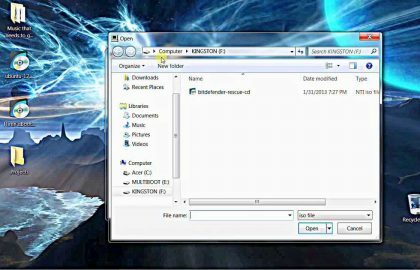 Hidden24 directs traffic to its own server in the United Kingdom using the VPN capability of its own operating system. This means that it will work on any device: Android, Mac, iPhone, Linux or Windows. It is ideal for someone looking for a VPN solution designed for people who want or need to communicate anonymously. It is easy to use, but the lack of an application or interface may not make it suitable for beginners. At the same time, not have to install an extra application on your computer, phone or tablet to use your VPN can also become a way to protect your privacy, because no one can see the application installed on your devices. Access to Netflix US is not allowed, but it is allowed to the Netflix of the United Kingdom or BBC iPlayer even if you are outside the United Kingdom. It is also one of the cheapest VPNs available.